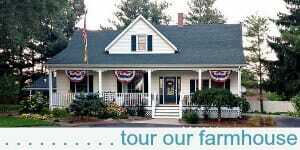 Our summer is rolling along quickly, and we’ve crossed so many things off our “summer fun list” already and the kids are very excited for the upcoming Fourth of July parade (we’ll only go if the weather is very cooperative). Crossing things off my to-do list is definitely one of my “favorite things”… today I’m sharing a few more! I briefly mentioned our bathroom and laundry room renovation above… and it’s obviously something I’ve been thinking a lot about these past several months. If you haven’t read about this 3-phase renovation yet, we’re essentially swapping one of our main floor bathrooms with our main floor laundry room to create more privacy in the bathroom and more space in the laundry room. One of the only downsides to this renovation is that our new laundry room will have VERY limited storage. On the flip side, the bathroom (that’s right across the hall) will have TONS and TONS of storage to make use of an awkward area over the stairs to our basement. 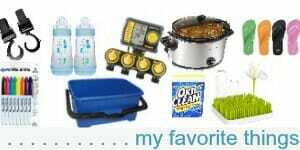 While I plan to store most of my cleaning supplies and other laundry necessities in the bathroom next door, I don’t necessarily want to walk next door every single time I need something as simple as detergent or stain remover. Several months ago, I started looking into ways to save a bunch of space in our laundry room… and I came across the Beron Eco-Friendly Laundry Balls that will supposedly wash 1500 loads of laundry with ZERO detergent! They work with any type of washing machine, and on any type of clothing — and I literally do not put any detergent or bleach in with my clothes anymore! You CAN add bleach, Oxy-Clean, essential oils, or your favorite fabric softener (especially if you like the smell of a particular brand); but if you’re like me and don’t want your clothing to have a specific smell, you’ll love the fact that these laundry balls will get your clothing clean without any scent! There’s a lot of information about the science behind these laundry balls on this competitor’s website — the Beron brand is much less expensive and had amazing Amazon reviews! 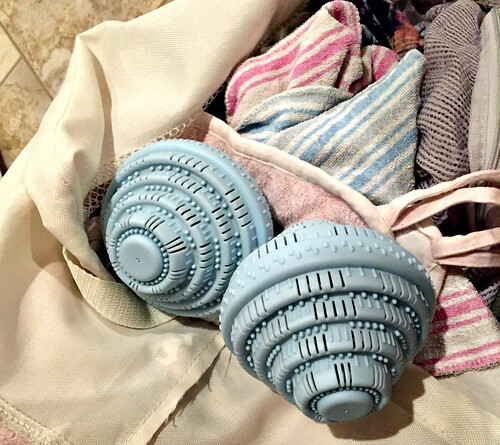 I’ve been using these laundry balls exclusively for the past several months and haven’t noticed any difference in the cleanliness of my clothing, towels, swim suits, winter gear, etc. Which means, I may have just found my solution to a laundry room with no storage!!! I simply keep these laundry balls in the washing machine, ready and waiting for the next load — and I keep my wool dryer balls in the dryer too. This means the only thing I’ll have to actually store in my laundry room is a small bottle of spot treatment (for really touch stains) and some Oxy Clean (because I use that for so many cleaning tasks around the house). Once we have our new washer and dryer hooked up, I’ll buy a second set of laundry balls so we can keep one in each washer! Yay for saving space, time, money, and the environment — all at the same time! I’ve mentioned my favorite watering wands before — but we added a new watering wand to our collection this spring, and it’s even better than the other one we have! Our new 16″ wand is much shorter (and easier to handle) than our longer one. Plus the head has different settings so we can pick and choose how much water pressure we want. And I LOVE that the on/off is just a valve I press with my thumb — so easy! 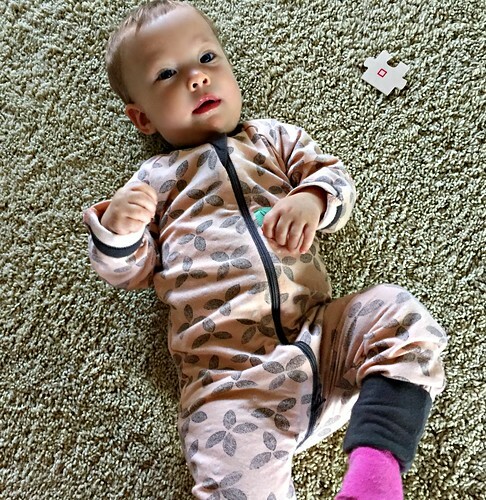 No, the official name is not “crotch zippered sleepers” but these sleepers from ErgoPouch are AMAZING! Not only are they SUPER soft and stretchy and come with hand and feet covers (even in their bigger sizes), they also have the coolest zipper feature I’ve ever seen on baby PJ’s. 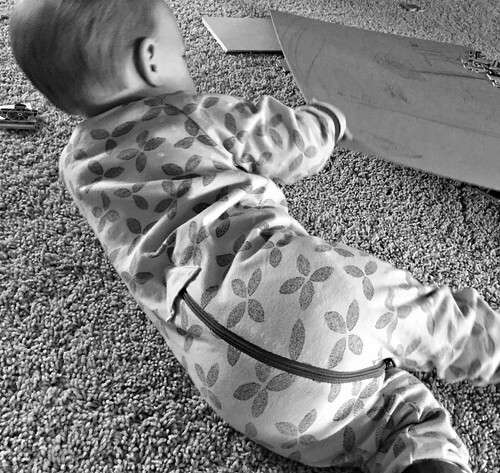 Instead of the zipper running down one leg, it zips around to the back of the PJ’s so you can change a diaper without removing the baby’s legs! Of course, if it’s a really poopy diaper, you’ll still need to remove the legs, but for quick middle-of-the-night diaper changes, this feature is amazing! I leave the zippers in the crotch area so she doesn’t have to lay on them (either on her stomach or her back)… and so they are ready for me to unzip if/when I need to change her diaper. Oh, and the fabrics on all the ErgoPouch items are SOOOOOOO stinkin’ cute! I use our griddle almost EVERY single day, so I wasn’t shocked when our 11+ year old griddle started to poop out on us this past winter. FUN FACT: I included our previous griddle on my list of Favorite Things over 5 years ago — so we REALLY DO love our griddles! I was planning to purchase the exact same griddle again; however, I happened to be using a friend’s griddle around the time I started shopping for my new griddle… and after using her huge 24″ griddle, I instantly knew that’s what I wanted too. It actually fits in my kitchen cabinets better than my old griddle (it’s more of a square versus a rectangle) and it can easily cook 9 good-size pancakes, 12 full-size slices of french toast, or an entire pound of bacon at one time! The only thing I don’t love about this griddle is the grease “trap”. It’s hard to clean and seems like a bad design — but everything else about this griddle is fantastic (in my opinion). It’s super nice to have a level cooking surface for most foods (especially things like scrambled eggs), but then be able to drain grease away from bacon or sausage by simply adjusting the handles. It’s probably worth noting that I purchased my griddle through Target as it was cheaper than the same exact one on Amazon, but I couldn’t find it on Target’s website anymore). If you’re looking for a really big griddle — I’m almost certain you’ll be happy with this one! After years of buying the $1 Old Navy flip flops, I finally decided to invest in a solid, sturdy, supportive pair of flip flops 2 years ago… WOW, do I love them! I shopped around for quite a bit and finally decided on the OLUKAI Flip Flops as they fit my foot the best (I have a wider foot with very high arches). This will be my 3rd full summer wearing them (basically every day) and they still look and feel brand new. 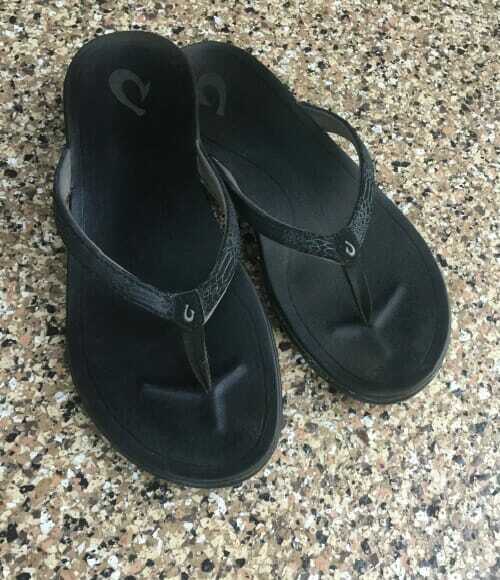 Granted, I could buy 60+ pairs of the $1 Old Navy flip flops for the price of one pair of OLUKAIs… but I have a feeling my feet, legs, and back will thank me for the extra support in my “new” flip flops! I realize footwear is a very personal choice — but if you have high arches and are looking for a good supportive flip flop, I have personally LOVED these for the past 3 summers! Do you just need/use one laundry ball or do you use multiple like the wool dryer balls? Do the laundry balls work well with cold water washing? I never use cold water — so I’m not positive. However, I think I remember reading that they work best in warm or hot water. All the information is on their website though. 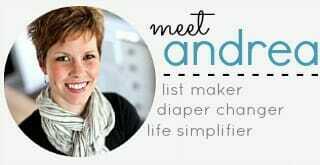 With 6 kids, I do 2-4 loads of laundry per day, usually 5-6 days a week – the laundry ball would save me a ton of money BUT… how will you know when you get to the 1500 loads limit? Well… I suppose if you do the math, it would average out to roughly 18 months for you. If you do an average of 20 loads a week — and when you divide 1500 by 20, you get 75 weeks (or roughly 18 months). Are you able to accomplish the leaving out in the sun? We had surprisingly little sun this winter and I’m wondering how that would play out. How long/often do you put them out? Yes, they can just sit in the windowsill (even on a cloudy day). it’s obviously easier in the summer, but if you read the website I linked to, they explain more about how it works during the cloudy, West Michigan winters! I love the Olukai flip flops! I bought my first pair in May and haven’t worn any others since. So worth it. yes, I see the other brand promoted all the time (and they are very expensive). The ones in my post are much cheaper and still have hundreds of positive reviews. 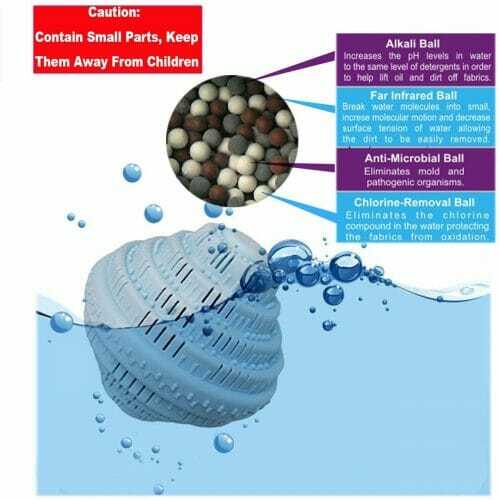 I see several reviews stating that you need to, pre-wash, soak the ball in water for an hour to activate… Is this something you do? yup, I followed all the instructions that came with the balls. Hi Shelley — I’m assuming you’re referring to the laundry balls? So far, we are loving ours — but I can’t give you any long-term perspective (at least not yet!) Maybe someone else will chime in eventually!